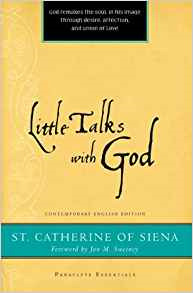 While in an ecstatic trance, St. Catherine of Siena dictated The Dialogue. In this intense and searching work, she offers up petitions to God, filling her conversation with instruction on discernment, true and false spiritual emotion, obedience and truth, and revealing her famous image of Christ as the Bridge. Catherine's brilliant insights into the nature of the spiritual life have motivated Christians for centuries to unite a life of prayer with a life of action.